There is no denying that Chrissy Teigen is the queen of clapbacks on Instagram. We're still not over her brutal response to one troll who decided to insult her hairstyle — and seeing as that troll deleted her account, we don't think they will ever recover either. 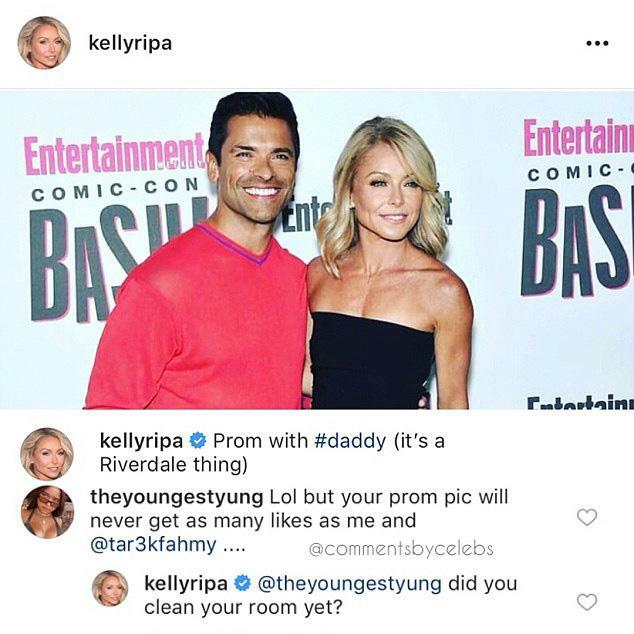 However, we have a feeling Chrissy may have gotten some tips on how to roast someone on the social media platform from the OG clapback queen, Kelly Ripa. Just like Chrissy, the Live With Kelly and Ryan host has the perfect comeback for anyone who insults her husband, her famous friends, or her weight. Kelly has been serving up daily doses of shade since she started her Instagram page in 2014. "I love a clapback," Kelly explained on The Wendy Williams Show. "I love a troll but I love to troll a troll. Like, if you're gonna troll me, then I'm gonna troll back. And that, we can all agree, that is the way God intended." She then used a recent example, when a follower felt the need to comment on her head size. "Her head looks to big for her tiny body," read the comment. Kelly explained why she responded with an epic burn, "To is spelled too FYI. As in 'Too dumb to leave that comment.'" She continued, "We all know that if people are telling you you are too anything on social media, they universally spell the word 'too' incorrectly, making it a very easy clapback, almost like a snapback." Preach. And this is just the beginning of Kelly's savage reputation on Instagram. So, when you finish looking at posts of Kelly's photogenic family, make sure you check out the comments section. Kelly is most definitely there trolling her trolls. Like, that one time someone came for Mark Consuelos. 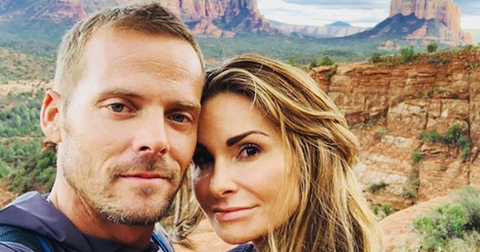 Kelly loves posting photos of her husband of 22 years, and we don't blame her. Mark is a certified hottie. However, there is always one follower who can't take the #relationshipgoals realness the couple exudes on social media. "Too bad he's short when he tries to look taller," @samanthap143 rudely wrote below a photo of Kelly and Mark. We don't even know what she means by her "tries to look taller" comment but that didn't stop Kelly from stepping in to defend her man. "He's tall where it counts, babe," Kelly responded, winning that battle easily. Mark even joined in the action, writing, "Please tell me how it is I can try to look taller. I'm dying to know." You know what they say. Couples who troll together stay together. Pro tip: Don't call her a liar. One troll called out Kelly for lying about Mark's ethnicity, accusing her of claiming he's Italian and then changing his nationality in ALL CAPS. Because lowercase letters just wouldn't get her point across. But don't worry, Kelly came with the receipts. "Omg please get help," Kelly began. "You are making yourself look like a total fool. You poor thing. For the record, I LOVE MEXICO. Again. Read more. Stay off Instagram. Put your little thumbs away. I'll even help you. 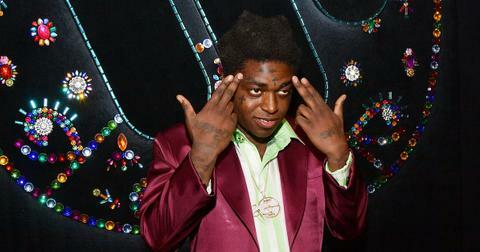 I'll block you so you can go troll someone else." But before she hit the block button, she unleashed the facts on @brenda_clements26. "Please stop shouting and do your research," she added. "A quick Google search is all you need. @instasuelos father is from Mexico (Oaxaca) his mother is from Lago Magore, Italy. @instasuelos was born in Zaragoza, Spain and raised in Italy until his parents moved to Lebanon, Illinois. Not that I feel the need to justify this to you, but since you called me a liar and I'm bored I felt the need to straighten you out so you don't make a complete FOOL out of yourself in the future. In closing, I hope you get the help that you need because you seem completely unhinged over something that is literally a quick Google search away. Maybe spend less time screaming and name-calling on Instagram and more time reading?" No, she has not had plastic surgery. 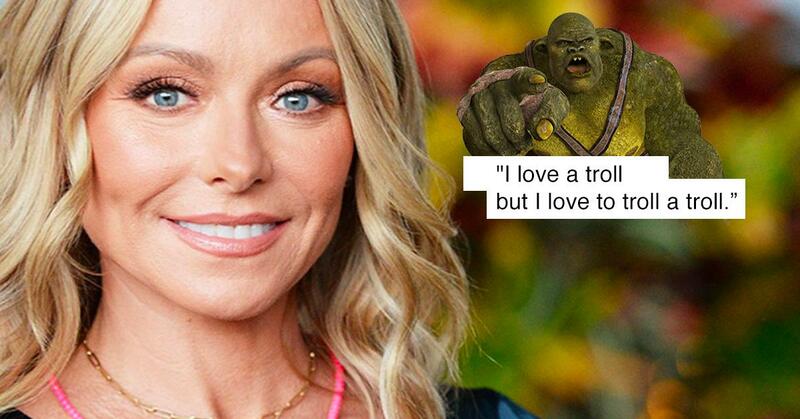 Kelly's appearance always seems to be a hot topic among her trolls, and she will always make time to squash any and all rumors about her looks. For example, when someone accused her of wearing too much makeup and looking like a wax figure, she hit back with, "I have on way more makeup than a wax figure. I know because I have a wax figure at Madame Tussaud’s, and she doesn’t wear as much makeup. But she didn’t get to go to the Academy Awards, did she?" Or when someone accused her of having a nose job and veneers (veneers, really? ), she had no shame in exposing her beauty secrets. 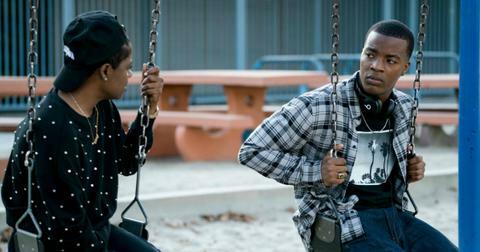 "I’m gonna tell you right now. No nose job, and no veneers," she wrote. "I wouldn’t be sleeping in a retainer every night if I had. You guys do know how to make a girl feel special." 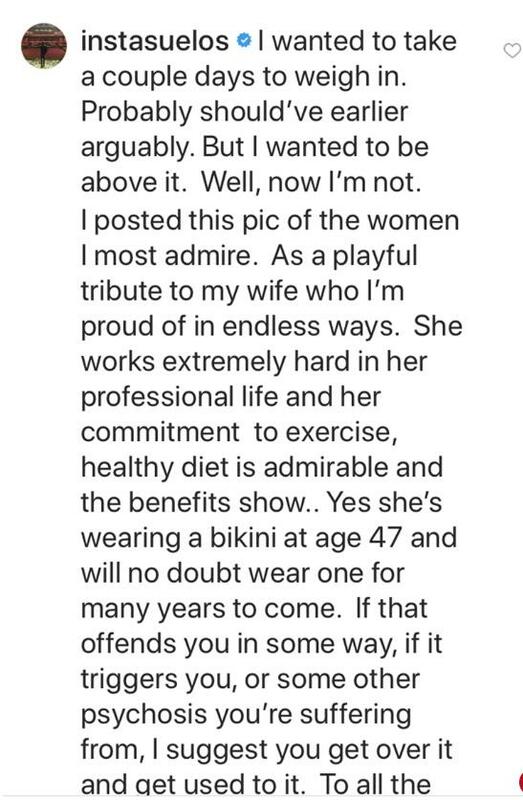 More specifically, Mark will block you if you think Kelly should stop wearing bikinis. "I wanted to take a couple of days to weigh in. Probably should’ve earlier arguably. But I wanted to be above it. Well, not I’m not. I posted this pic of the women I most admire,” he wrote to her haters. "She works extremely hard in her professional life and her commitment to exercise, healthy diet is admirable and the benefits show. Yes, she’s wearing a bikini at age 47 and will no doubt wear one for many years to come." He continued, "If that offends you in some way, if it triggers you, or some other psychosis you’re suffering from, I suggest you get over it and get used to it. To all the males that had something negative to say. I suggest you bring it up with me if ever I’m lucky enough to run into you. I’m going to get back to my vacation now.. thanks for allowing me to express myself. I love you @kellyripa… keep killing it." It's getting old, just ask Kelly. When one "fan" told suggested she should "start eating something," Kelly was not impressed. "Oh Lord an unoriginal troll. Bye," she wrote. Touché, Mrs. Ripa. She even trolls her daughter, Lola. No one is safe from Kelly's Insta clapbacks, not even her daughter. One more than one occasion, Kelly has used her mom humor to embarrass her teenager on the social media platform. When Kelly posted a "prom" photo with Mark, Lola shaded her mom, writing, "Lol but your prom pic will never get as many likes as me and @tar3fahmy." She wasn't wrong. Her prom photo currently has over 270,000 likes on her mom's account, but that didn't stop Kelly from responding with her go-to line, "Did you clean your room yet?'" In another instance of mother-daughter rivalry, Lola asked her mom to stop being a Riverdale stan on Instagram, which prompted Kelly to go for the jugular. "Imma block you in a minute." 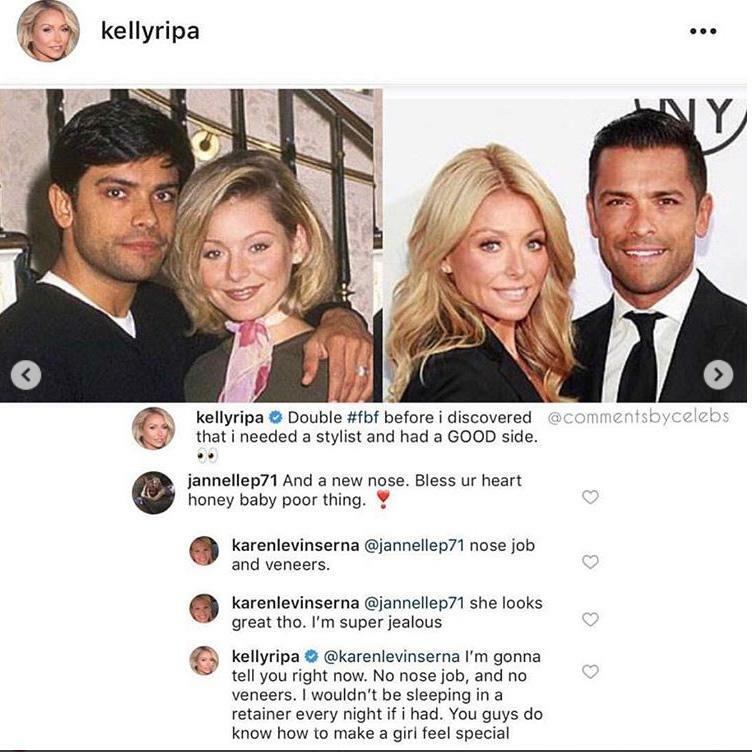 In conclusion, DON'T COME FOR KELLY RIPA.